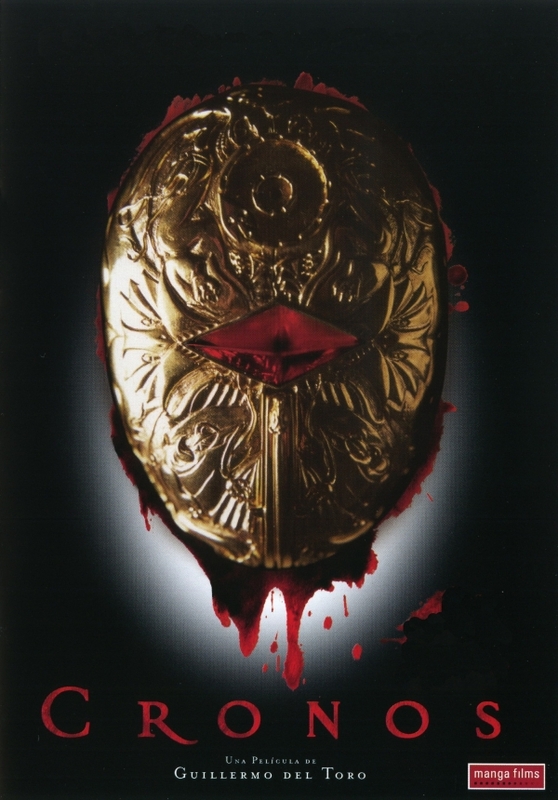 Chrichton's World: Review Cronos (1993): You would not want to be this kind of vampire. Eternal Life is so overrated! Review Cronos (1993): You would not want to be this kind of vampire. Eternal Life is so overrated! It is difficult to stray away from the conventions when it comes to mythical creatures like vampires and werewolves. Probably since these are what makes them appealing to us. Guillermo Del Toro however does exactly this. He tells us a new tale about a new kind of vampire. And it is one that weaves in alchemy and more elements that seem logical enough. Cronos refers to a device that apparently comes with a few instructions. Once you use it your life is changed forever. Supposedly the advantages are not being able to die as long as you don't get pierced through the heart or burned. Apart from not dying there are only disadvantages and you really would have to be stupid to ever want that. Ron Perlman remarks something like this and he is right. In this story it is impossible to lead happy lives unless they are blessed with a loving and understanding wife and grandchild. Cronos is not really a horror but more a subtle drama where a lot is hidden underneath. It's one where you are wondering what the point of it all is until you realize that Guillermo leaves it all to you. This could be seen as a strong point or weak one. And I am leaning towards weak. While I do liked this film enough I can't hide that I was very disappointed. After reading so much praise I was expecting a lot and I think Cronos simply does not deliver that horror goodness as it could have. The alchemist angle and the device is a very interesting one and I wished Guillermo would have shown and told us more about him. How was he able to make this device? Why did he make it? How did he lead his life? These are just a few of the questions I wanted an answer to. Cronos in my opinion is not a horror classic. For that it is far too subtle for it's own good. However it is nice to see a vampire movie where it is shown that being a vampire is not much fun.